The balustrades on bridges suffer from the deterioration caused by wear and tear, humidity and improper consolidation efforts. It is therefore important to re-establish the correct structural condition and to restore full functionality, so that none of the stone falls off. functionality, so that none of the stone falls off. Ponte del Vin. 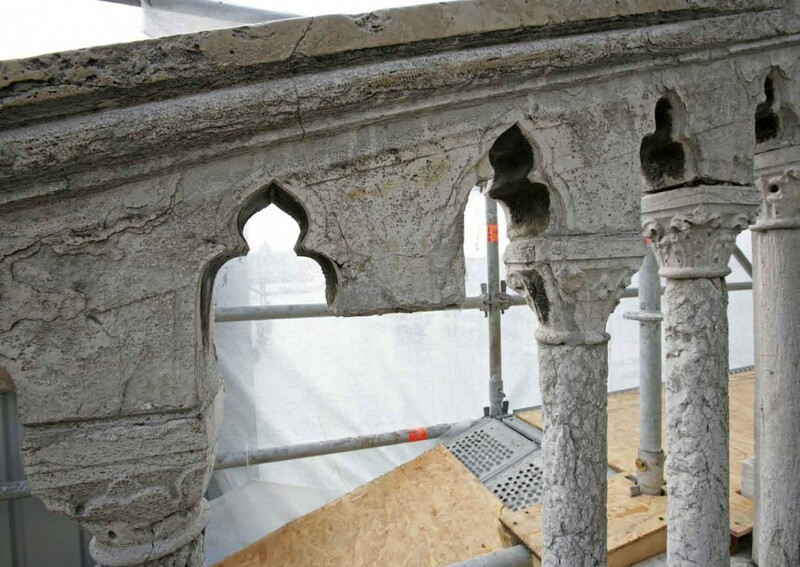 The balustrade was in a state of disrepair that risked making it totally unusable. The advanced degree of deterioration may be seen in all the stone parts, many of which are broken, chipped, unaligned, out of place and loosened, damaged on the surface. A few remaining pins and molten lead patches held the stones in their seat, holding the structurally significant elements together and preventing them from falling out of place. The restoration usually begins with a photographic survey and documentation of the structure in drawings; then all the elements are numbered. 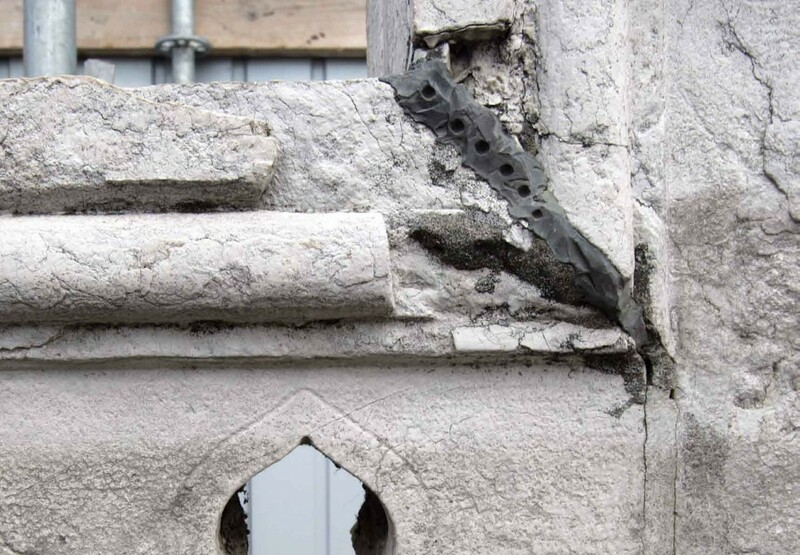 All preceding repair work is removed, the small columns or pilasters are liberated, the broken ones are removed and consolidated with pins and resin epoxy. 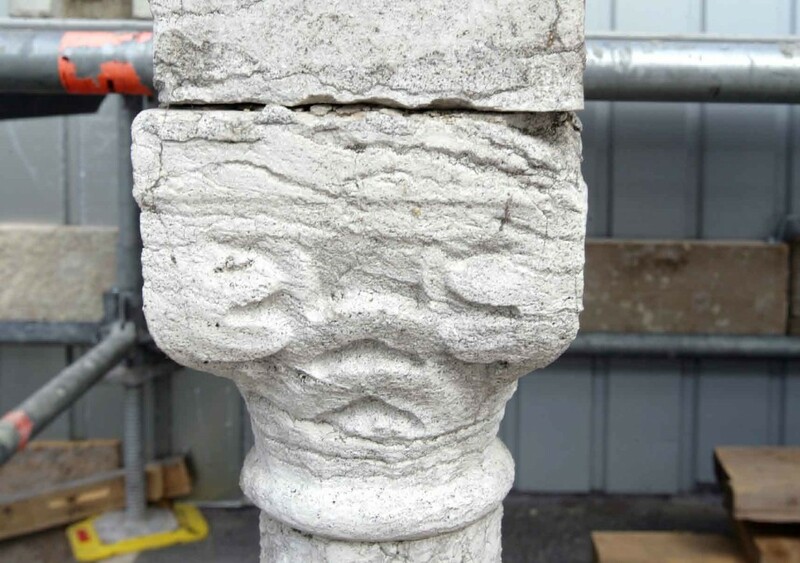 Once the stones of the handrail are reordered and aligned, the consolidated columns/pilasters and stones are put back in place, filling connections, holes and crevices with grout.